After two months of framework construction, panel re-alignment, installation of lighting and touching up, the mighty Panorama painting is once again open to the public. 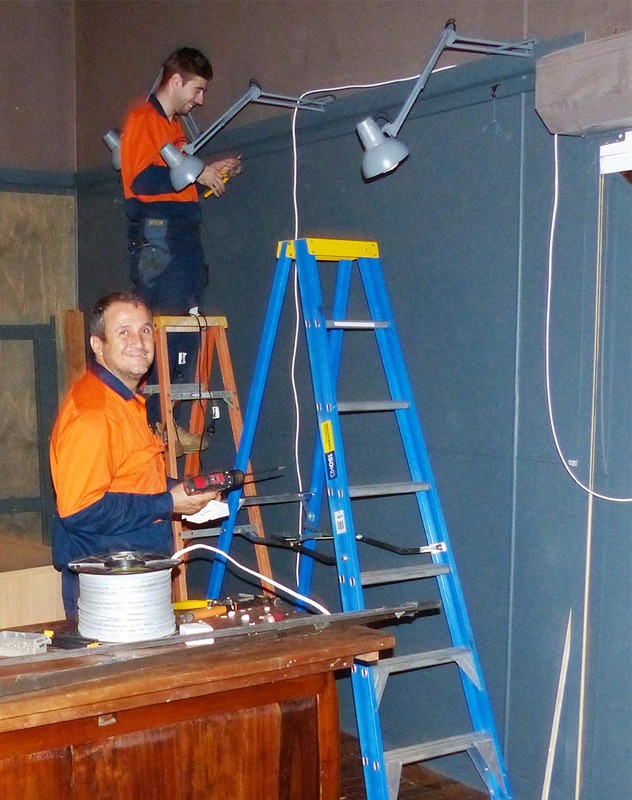 The​ 15 panels fitted perfectly into the function room above the Courthouse Hotel in Main Street with the community minded owners excited to have such an iconic artwork housed within their establishment and in the Murwillumbah CBD. Visitors who had experienced the Panorama in its previous location have commented on how even more impressive it looks in its new home. A 'grand' opening is planned for early Feb next year. This new art gallery, which in most respects replaces the function of the former Caldera Art Gallery, is conveniently situated next to the Green Cauldron Panorama above the Court House Hotel. 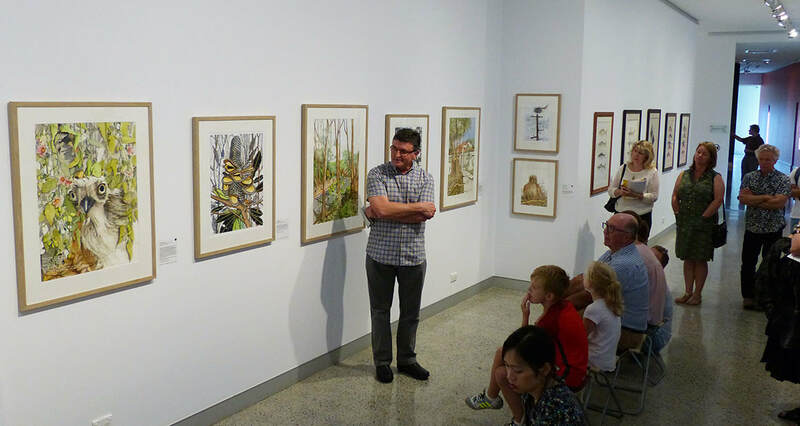 The artwork on display showcases the natural and social history of the Tweed region with an emphasis on interpreting its landscape and biodiversity values. Local artists who have an understanding and passion for the natural environment of this area are encouraged to apply for an exhibition time-slot next year. Gallery founder Andy Reimanis has also established a working studio space as well as a resource library and range of merchandise for sale. Currently featured is his interpretive painting of the active Tweed shield volcano. The gallery is open the same days/times as the Panorama. "Without the philanthropic initiative of the Court House Hotel owners, Tom Bennett and Andrew Scrivenor, the Panorama panels would still be languishing in my shed (and would probably do so for quite some time). Other wonderful folk who contributed much valued assistance were CHH resident Don Tolmie, CHH staff (especially 'Jules'), Mark Comport, Greg Maizey, Greg Newland and sparkie George Aronis with his apprentice Ian. ​I encourage local residents and visitors to enjoy the excellent food & beverages on offer at the Court House Hotel whilst experiencing the visual feast that is the Panorama and Wildscapes Gallery." 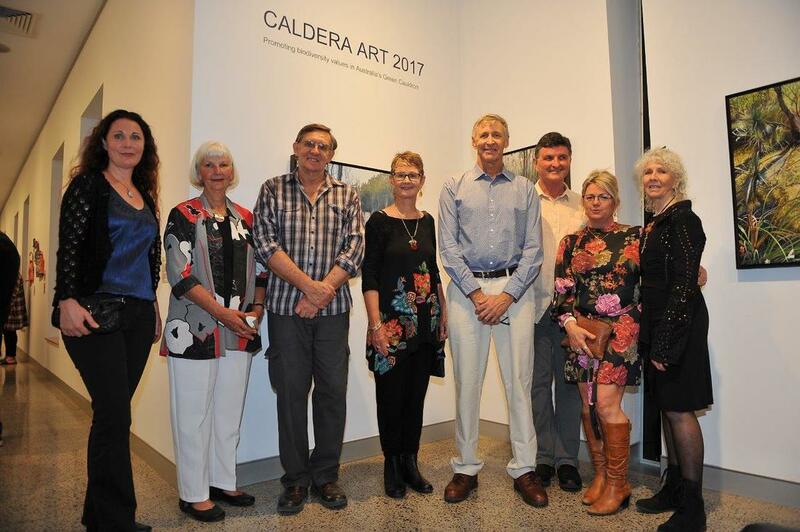 ​CA2017 is currently on show at the Tweed Regional Gallery (closes December 3) and features the superb artwork of Jennifer Porter, Greg Newland, Heidi Ledwell, Janet Hauser, Greg Mulheran and Kim Godfrey. The gallery was 'packed' for the opening event (shared with the Brett Whitely exhibition). Cr Chris Cherry delivered a heartfelt opening speech. 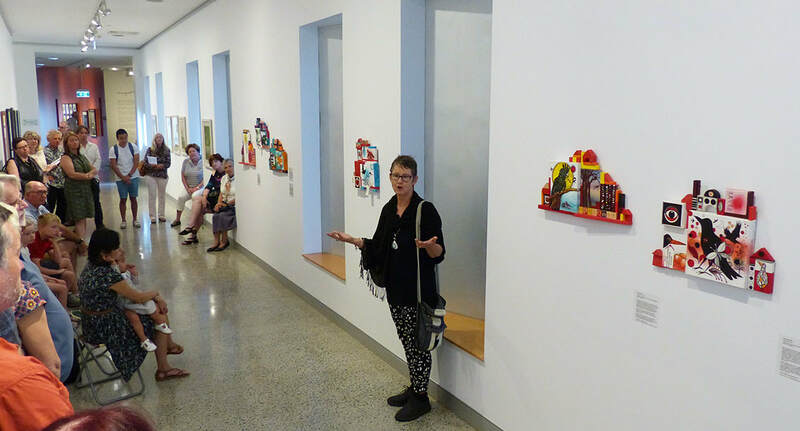 More recently, the public program at the gallery was also well attended with Jennifer, Kim and the two Gregs speaking about their artworks whiile Council's Mark Kingston presented the opening address. 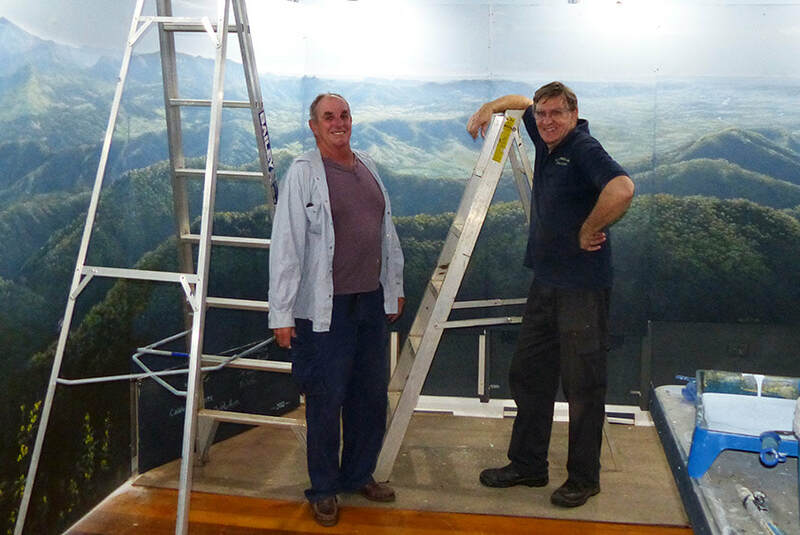 The Panorama and Wildscapes Gallery is thrilled to be on the itinerary of Mount Warning Tours when visiting Murwillumbah. 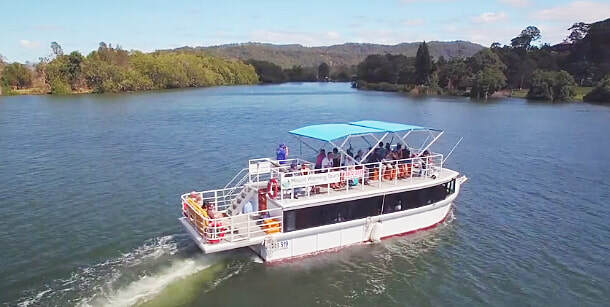 Their traditional huon pine river ferry, the Spirit of Wollumbin, takes visitors upstream from Tumbulgum along the Tweed River whilst enjoying the distant mountain views and experiencing the shoreline wildlife. Small group vehicle tours link with Murwillumbah’s Heritage Trail, galleries, museum, studios, and cafes. 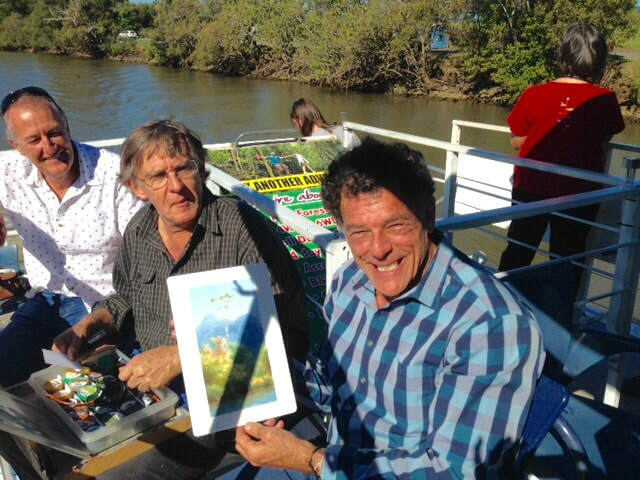 Earlier this year, Andy had an opportunity to join the cruise during the filming of 'Sydney Weekender' and present the host, Mike Whitney, with a watercolour sketch (who was thrilled to contribute his own brush-stroke to the painting). Volunteers are being sought to join the Better Earth teams to restore public land hit hard by the record Cyclone Debbie flooding. Many sites have been planted and nurtured by the community over numerous years - this is a great opportunity to join in the recovery effort and protect the Tweed River for the future. ​Tweed Shire Council is partnering with Conservation Volunteers Australia to rehabilitate flood damaged riparian vegetation on the Tweed River between Uki and Byangum. ​For further information, please go to the Tweed Landcare news page and click onto the October Grassroots Gazette. Tweed Landcare Inc recently conducted their annual survey of the almost 30 Landcare, Coastcare, Dunecare and Friends of groups in the Tweed to assess their capacity and determine their needs. The list can be accessed here and you are encouraged to contact the coordinator in your area if keen on becoming involved. ​TLI is having their AGM on Wednesday 16 November 6:00pm at the Murwillumbah Services Club. Attending the AGM is a great opportunity to see what Tweed Landcare has achieved through the year and how they connect with the wider Landcare community throughout the region. Everyone is most welcome to attend but please notify them via tli@tweedlandcare.org.au if you plan to attend so enough tasty morsels can be ordered for everyone! Winning and shortlisted images from this year’s competition, from awe-inspiring action shots to charming portraits, are featured on this web page with some of the best bird photographers in the world represented. BirdLife Australia members feature prominently. The recent rains along with fresh new growth of leaves and flowers has made life a little easier for some of our wildlife species. This brushtail possum for example, a welcome resident on a property in Fernvale, is looking most relaxed in its daytime sleeping quarters (it has 3 luxury apartments to choose from). Most impressive claws! This female has an almost fully grown youngster sharing her condo so it is a bit cosy, especially in warmer weather. A series of colourful cards featuring the region's rich natural environment (rainforest plants in particular) has been produced by Caldera Wildscapes. ​Each card has story about the flora of the Tweed and the festive season. ​Please support Caldera Wildscapes by visiting the Store page and purchasing a set or two from our secure site. They are also available at the CW Gallery, along with other gift ideas, next to the Court House Hotel, 60 Main St., Murwillumbah.